Spiteri, A. Sultana, P.P. Camilleri (D. Azzopardi), M. Gauci, C. Attard, J.E. Batista Da Conceicao, O. Xuereb (R. Zammit), P. Nunez Del Castillo, N. Stojanovic, H. Santa Rosa Cruz, M. Grech (J.P. Grima). Vella, T. Souza Da Silveira,C. Abela, D. Farrugia, M.J. Barbosa. D.M. Bustos, Sh. Attard, J. Buttigieg, L. Garcia Panesso, Sa. Attard, J. Parnis. 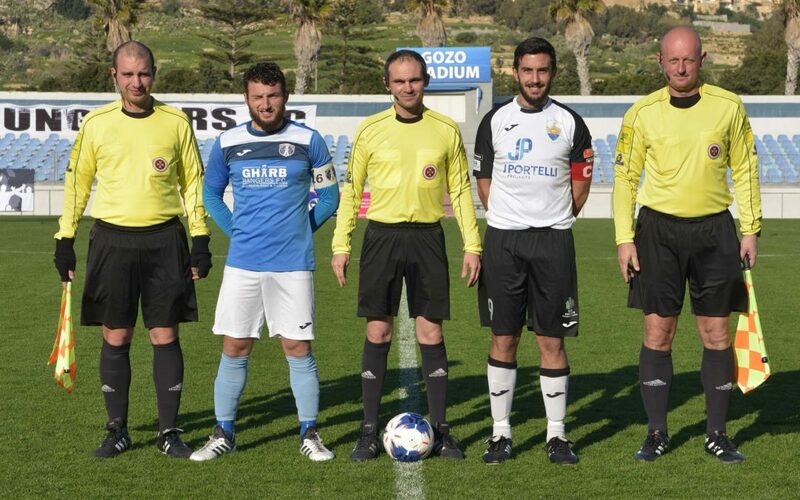 Gharb Rangers scored a goal during stoppage time of each half in the match against challengers for the title Nadur Youngsters and earned a point from a draw of four goals which leaves them at the fourth place on the table and with a comfortable lead over the other teams who are seeking to avoid the red zone. 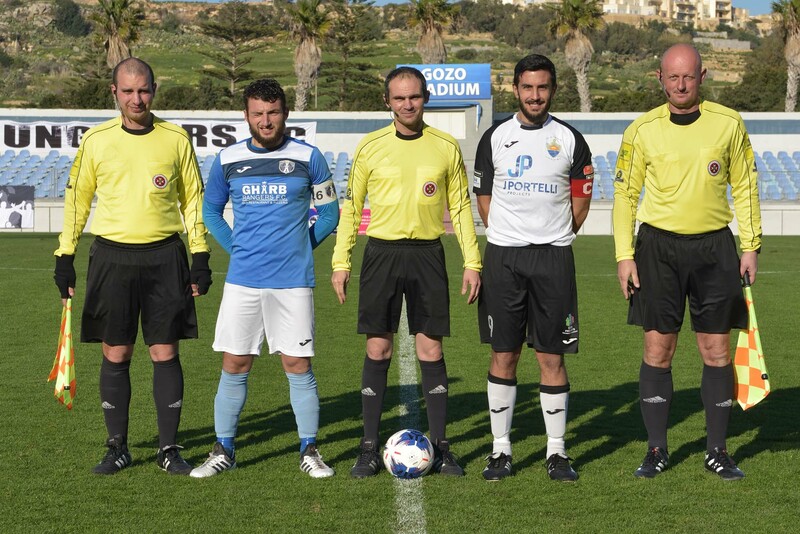 This was the second surprise result of Match Day 9 of the BOV Gozo Football League, as the other contenders for the main honour Xewkija Tigers were also held to a draw by a less quoted opponent in their respective match of this round. 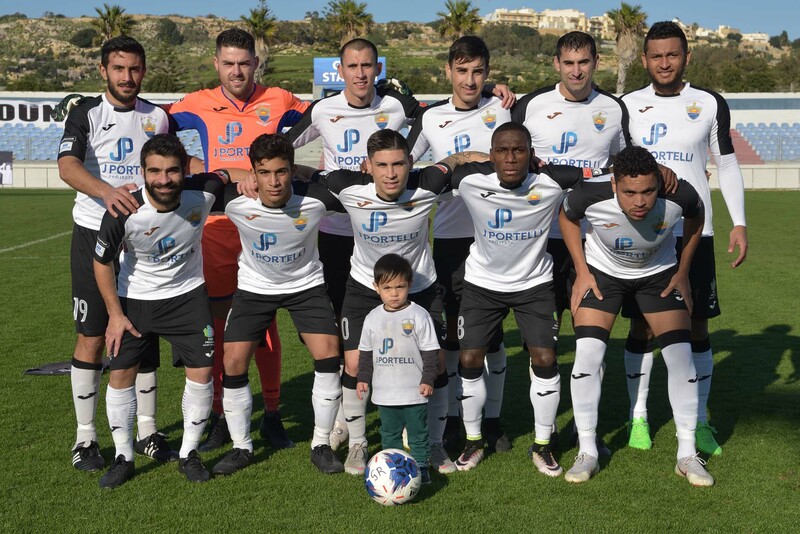 These results favoured current leaders, and reigning champions, Victoria Hotspurs as the latter consolidated their command with a four point lead over Nadur and five points over Xewkija. 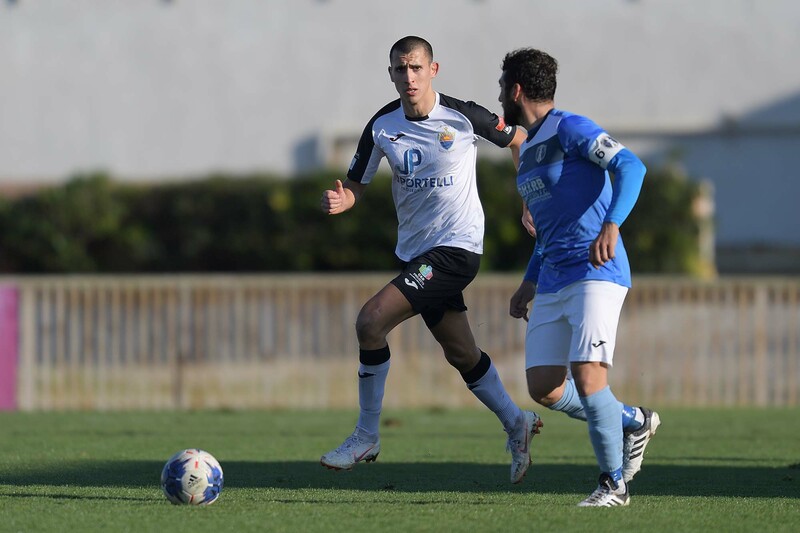 In this match Nadur, who had central defender missing due to a suspension, and midfielder Ian Xuereb who was not in the player’s list due to an injury, found it difficult to take command of play. The Youngsters manage to take the lead on two occasions but failed to defend the advantage until the end of the encounter. 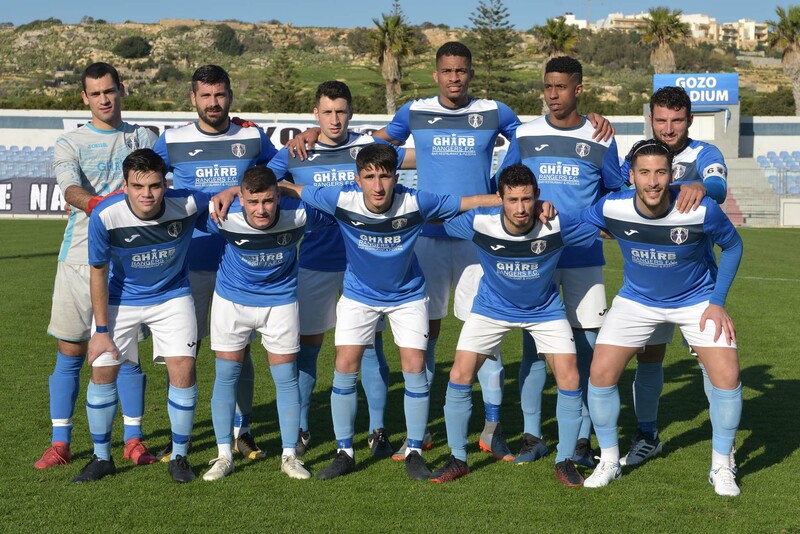 Gharb confirmed a good moment of form as they managed to convert their determination to defend their status in the top flight for the second consecutive season. Gharb showed great character as they produced a reaction immediately after conceding Nadur’s goals and ended up obtaining a deserved point. The Rangers seemed more offensive in their approach and held more possession during the opening minutes of the encounter. Nadur managed to neutralise Gharb’s play and as time passed by they started to become more dangerous. 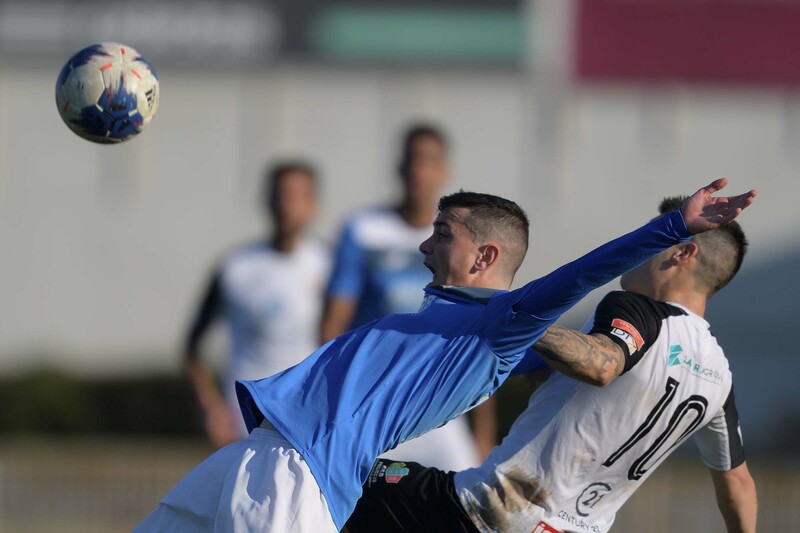 On 5 minutes Gharb’s goalie Daniel Spiteri was called to make a good intervention to hold a cross by Leiner Garcia Panesso aimed to an unmarked Marcelo Barbosa. On 8 minutes Nadur’s Leiner Garacia Panesso failed to connect following a low cross from the right flank and from the resultant melee in front of Gharb’s goal the same Garcia Panesso had an attempt with a back heel that was neutralised by Gharb’s keeper. 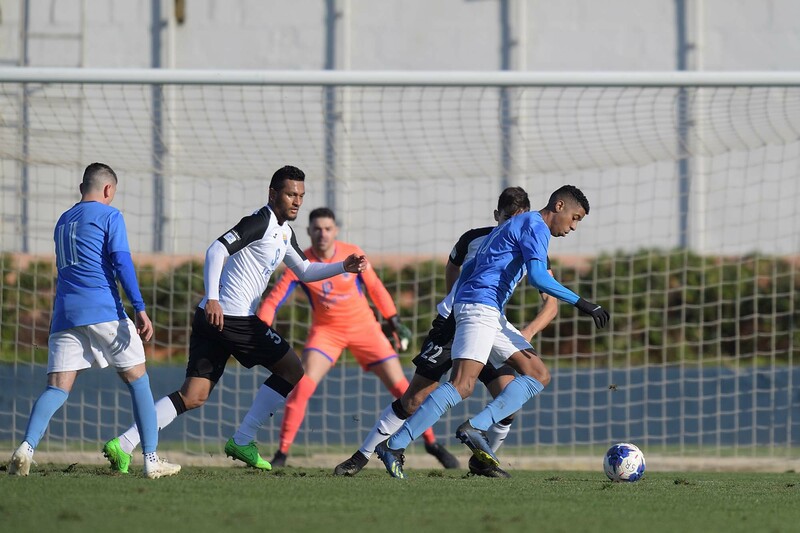 Gharb’s first serious attempt at Nadur’s goal arrived on 11 minutes through a shot by Pierre Paul Camilleri that ended wide and on 15 minutes Gharb’s Hugo Santa Rosa Cruz had a free kick that ended just high. Nadur could have scored on 17 minutes but a curling shot by Shaun Attard after receiving form Marcelo Barbosa ended just wide. On 23 minutes Nadur’s Leiner Garcia Panesso had a low cross shot that was cleared form the goalmouth by defender Matthew Grech and one minute later Nadur opened the score through a low drive by Marcelo Barbosa following a low cross by Shaun Attard. 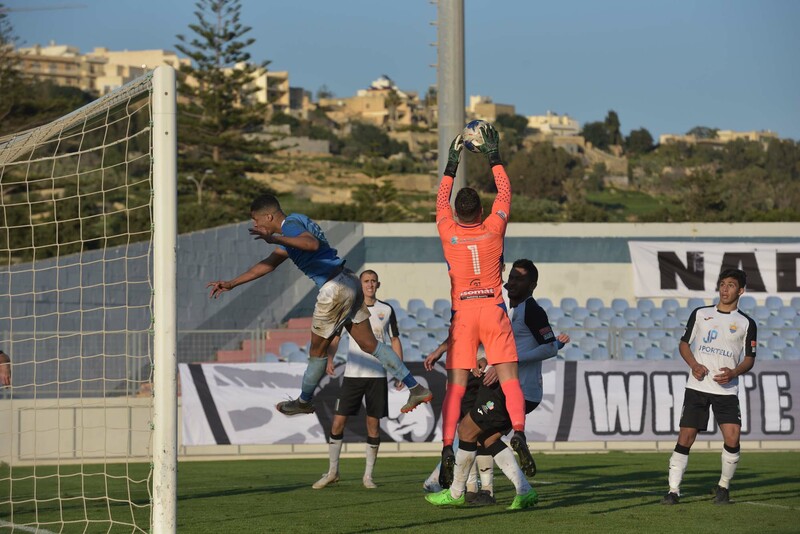 Minutes later Nadur could have doubled the score but a shot by Shaun Attard following a cross by Josef Buttigieg was well saved by goalie Daniel Spiteri. On 37 minutes Gharb’s Omar Xuereb headed incredibly high from close distance following a cross by Hugo Santa Rosa Cruz and one minute later Gharb’s keeper Daniel Spiteri left his position in time to take the ball before Leiner Garcia Panesso could conclude towards goal following a pass by Marcelo Barbosa. On 41 minutes Gharb were again dangerous but a shot from an angled position by Nemanja Stojanovic was blocked to a corner by Nadur’s keeper. Three minutes later a shot by Hugo Santa Rosa Cruz ended just high but in the third minute of stoppage time Gharb’s striker Hugo Santa Rosa Cruz levelled the score with an excellent shot directly from a free kick taken from an angled position. After the break Nadur tried to increase their efforts in an attempt to regain the lead but Gharb seemed more confident in their play and continued to produce danger within Nadur’s territory. On 48 minutes Nadur’s keeper Franklin Vella was called to make a good save following a shot from outside the area by Hugo Santa Rosa Cruz and from the rebound the same goalkeeper blocked to a corner an effort by Junior Elisio Batista Da Conceicao. On 51 minutes Nadur replied through a direct free kick by Marcelo Barbosa that ended high and three minutes later Nadur regained the lead when Leiner Garcia Panesso took the ball from Gharb’s central defender at the midfield, entered Gharb’s territory and lobbed into an open goal as Gharb’s keeper left his position in an attempt to block the danger. Gharb tried to produce an immediate reaction and on the hour mark Gharb’s Nunez Del Castillo could have made up for the error in the midfield but his header form a corner kick by Omar Xuereb missed the target. On 71 minutes Nadur’s keeper Franklin Vella saved with some difficulty a free kick by Nemanja Stojanovic and one minute later Nadur replied through a free kick by Daniel Mateo Bustos that was neutralised by goalie Daniel Spiteri. One minute later Nadur lost another good scoring opportunity when a shot by Josef Buttigieg from a good position ended wide. Gharb increased their efforts during the dying moments in an attempt to recover the deficit. On 88 minutes a free kick by Hugo Santa Rosa Cruz was partially saved by the goalkeeper and from the rebound the action was stopped for an offside infringement. Nadur created a potential dangerous action in the third minute of stoppage time but a cross by Jordi Parnis aimed to an unmarked Marcelo Barbosa was held in time by goalie Daniel Spiteri and one minute later Gharb clinched a dramatic equaliser when Nadur’s defence cleared badly the ball from the goalmouth following a melee and from the following action Hugo Santa Rosa Cruz crossed from the right flank and Junior Elisio Batista Da Conceicao headed easily in goal form close distance so that the match ended in a 2-2 draw.